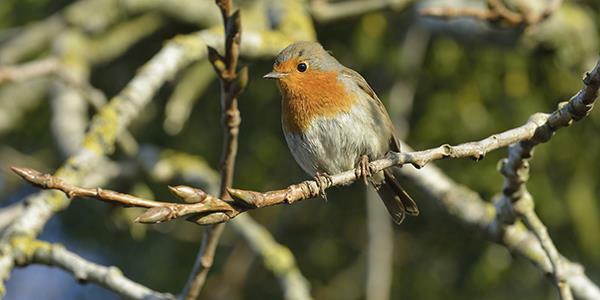 Why do we see so many robins in our winter gardens? This friendly robin has been showing off in the gardens of Duloe recently. He's often around at this time and you're bound to spot him if you're out walking the grounds. Did you know that robins actually migrate? Due to a shortage of food throughout the winter many of the robins from further north in Scandinavia actually migrate downwards to join our robins over the cold period. These ones tend to be a little paler in colour and slightly less tame as well – possibly because they are used to the woodland of their home habitat and see fewer humans. Though some of our UK robins do migrate across the Chanel during winter, it does tend to be less common. Here in Britain we are lucky enough to have Robins year-round and both the males and the females sing throughout the year from the early morning right through into the evening, usually for territorial reasons. Over the Christmas period robins are looking for a mate and they will be more active (the male will be exploring other robins' territories) and will be a lot more vocal. You'll see and hear them throughout gardens, in hedgerows and parks. By mid-January the majority of robins tend to be paired up and the females no longer feel the need to sing. The breeding season for robins is usually March time and in a good year you can be seeing fledglings right through until late July; robins have two or sometimes three broods per year. 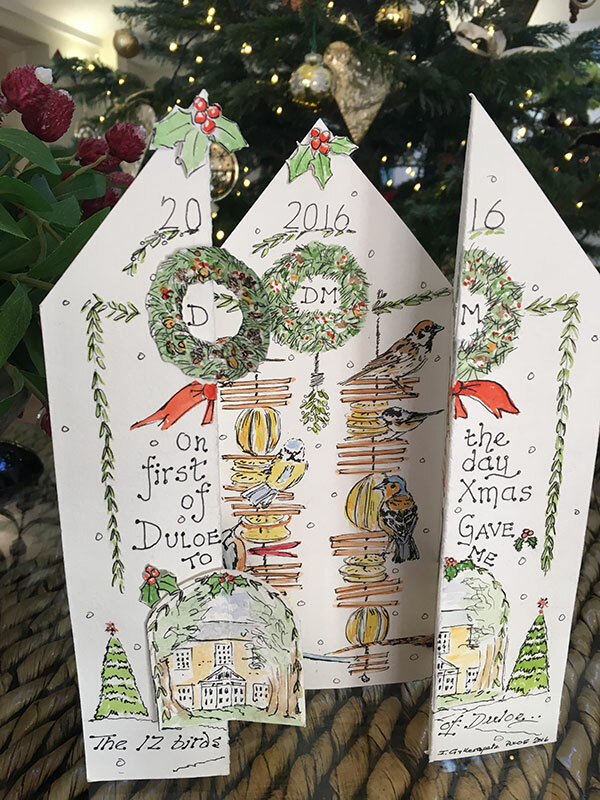 Duloe is a great place to spot all sorts of birds and this year manager Michelle and her team received a fantastic Christmas card from a Mr. Ian Gyllenspetz and his wife Sheelagh. The Christmas card which was named The Twelve Birds of Christmas is a beautifully illustrated hand-made card of all the birds the Gyllenspetz's have spotted in the grounds during their winter stay here. A huge thank you to them for sending in such a wonderful gift.